LAS VEGAS – May 14, 2015 – Tom Happ is proud to announce that Axiom Verge is now available for purchase on Steam and the Humble Store for PC, OSX, and Linux. 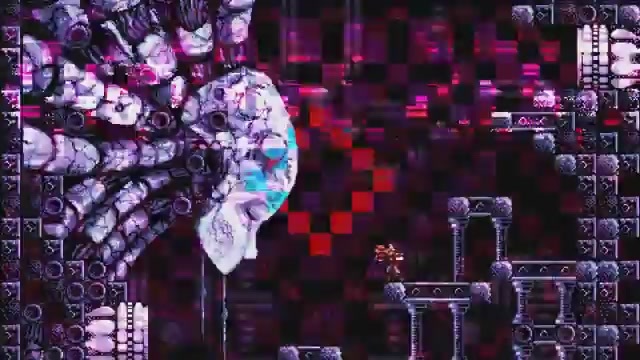 Axiom Verge is an action-platform-exploration game that’s not only created in intricate detail in the style of classics such as Metroid, Contra, and Master Blaster, but uses old-school “glitches” as a gameplay feature. You’ll use them to scramble enemies, corrupt environments, and pass through walls into hidden areas in a massive alien world. “Glitches” now allow you to break past the boundaries of normal gameplay. Next Post:Sailor Moon Crystal Acts 15-18: Rabbit Run!